Sephardic & Judeo-Arabic Seder Menus and Memories from Africa, Asia and Europe! Matzah Granola. Why didn’t I think of that? 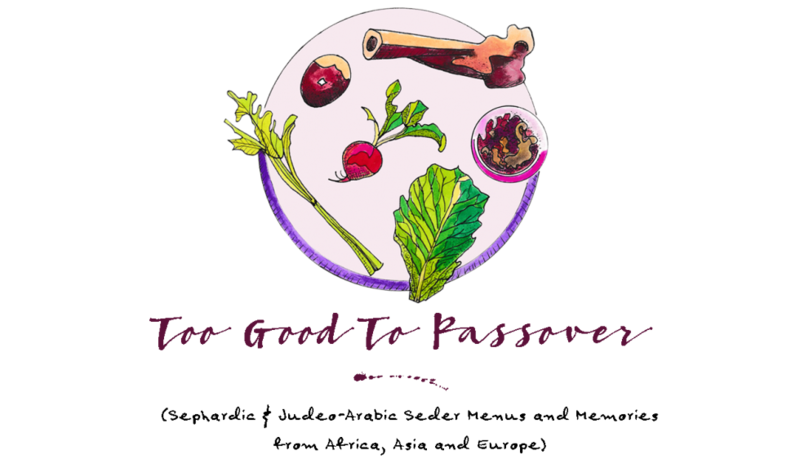 The kosher food industry is getting more and more creative with their Passover food products, making life during the week-long holiday almost too easy to observe. 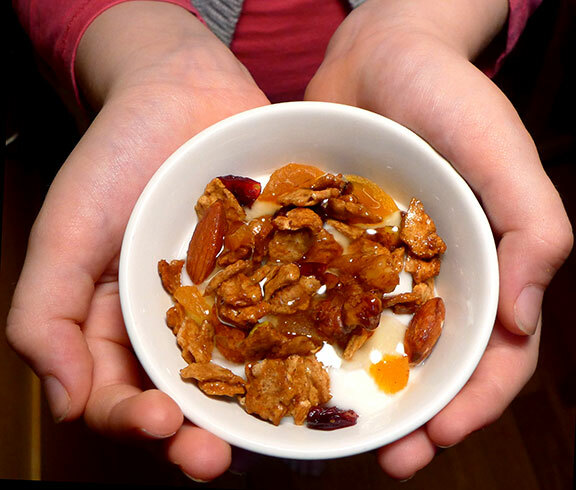 While I’m not big on promoting ready-made products, I have to say that I find the name Matzolah, a Passover-friendly snack or breakfast treat that combines broken up matzah pieces with all the best ingredients of homemade granola, very clever. Recently I was down on the Lower East Side leading a Jewish Food Tour and while at Streit’s Matzo Factory, a box of Matzah Farfel caught my eye. With plans to make my own matzah granola, I bought the box. I was a little incredulous about the taste at first, because let’s face it: matzah ALWAYS tastes like, well, matzah. But the final result was crunchy, chewy, and delicious (and I know that my kids will love it). It’s also a fun way to use up leftover matzah pieces at the end of the holiday. 1. Preheat the oven to 375 degrees F.; Line a large cookie or baking sheet with parchment paper. 2. Mix all of the dry ingredients together in a medium sized mixing bowl and set aside. 3. Combine the oil, maple syrup, and honey in a small saucepan. Bring to a slow boil over medium heat and stir for 2 to 3 minutes. matzah pieces are evenly coated. 5. Spread the matzah mixture out on the parchment-lined cookie sheet or baking pan and place into the oven and bake 30 minutes until lightly browned, shaking or mixing every 10 minutes to make sure that all of it toasts evenly. 6. Remove from oven and cool completely, about 30 minutes. Mix in the dried fruit, and store in an airtight container or in a Ziploc bag at room temperature up to 3 weeks. Serve with yogurt, milk, or as is like a snack.